This Ebook/Coaching Guide and Workbook all in one features 25 Life Coaching Exercises to help you gain more awareness and insight about yourself, your goals and dreams, and what might be keeping you stuck and blocked from identifying your goals and/or dreams and accomplishing your goals so you can achieve your dreams. This Ebook is 139 pages chalk full of insight, inspiration, and important information for anyone on a journey of recovery, healing, the search for authentic self, or wanting and needing to know more about him or herself and achieve a healthier more balanced emotional, psychological, and spiritual wellness in your life. 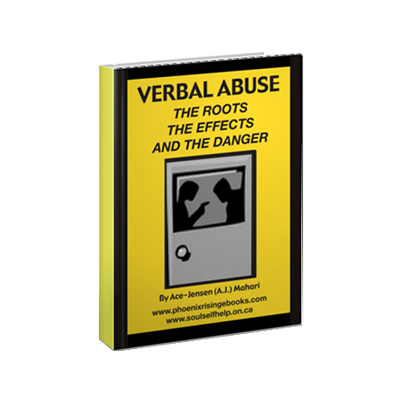 This Ebook/Guide/Workbook also comes with an audio by A.J. 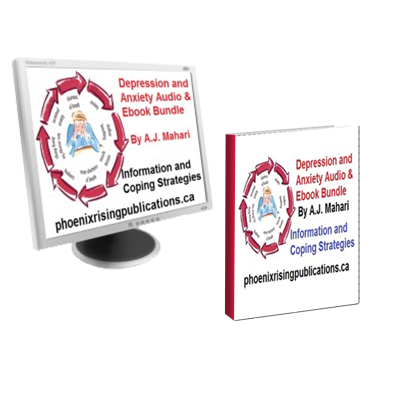 Mahari, entitled, “Quest For Self – Creating Your Own Recovery Story” It is a journey of its own – a journey of hope and inspiration, motivation, and important information for anyone wanting to get unblocked and unstuck in their lives and wanting to create positive healthy change. In this audio A.J. shares a fable, “Breaking the Mold” that illustrates an important moral of a story that you will benefit from applying to the story of your own life – the creating of the story of your recovery. A.J. 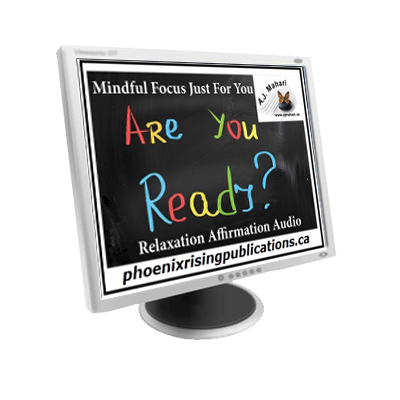 talks about goals, asks her listeners and readers questions that are important to journal about and consider on the journey that is the quest for authentic self and building self awareness. A.J. gives some examples of her own life and experience with both failure and success and how really the two are not as opposite or unrelated as most people seem to think. 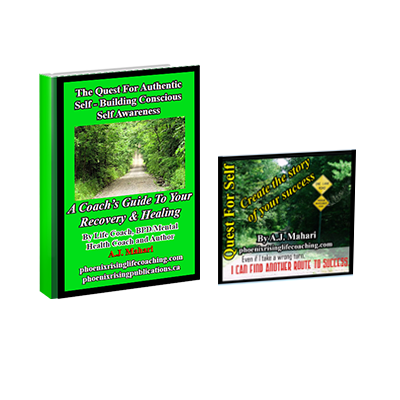 It is an educational and inspirational 120 minute audio that will give you lots of food for thought about how you can find success on your journey for the quest for your authentic self and over-all in your life. Mahari talks about what success really means and the reality that there isn’t just one type of success or one way to find it. 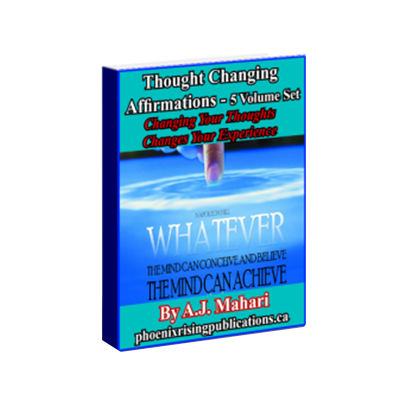 Mahari stresses that you can endure and that adversity is an awesome teacher. There is more than one road to success. If one road is blocked you an always find another. The key is to find out who you really are, trust that person, and believe in that person. Open and the way will be shown to you.